I met Zachary Balde in Livorno a few days ago. 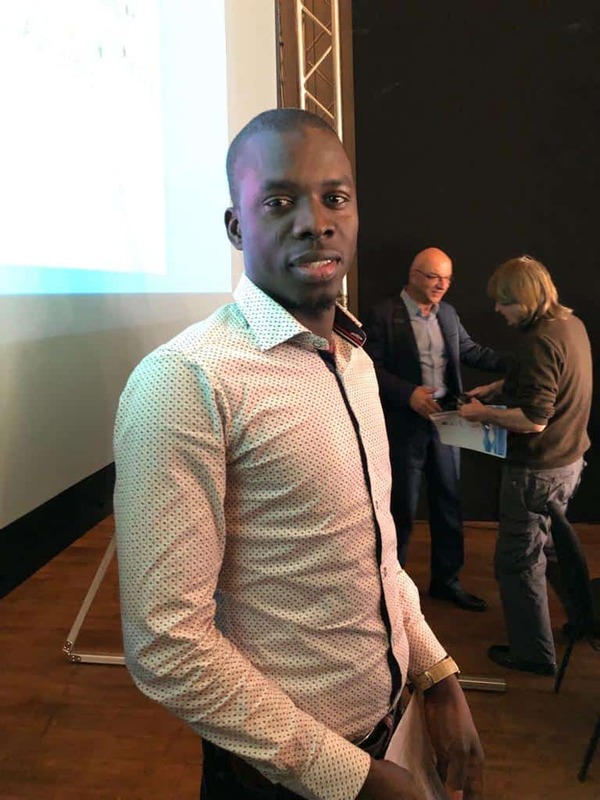 He is a 30-year old man from Senegal who has been living in Italy for four years. He told his story in fluent Italian which I am translating here. This is a long read. My name is Zachary Balde and I was born on the 18th April, 1989 in Velingara, Senegal, Africa. I will tell you my story. My mother and my two sisters are in Senegal. I lost my father when I was 12. At noon, while still in school, my uncle called my teacher to tell her my father had died. The teacher looked at me and called me to her office. “You’re a smart boy,” she told me. “Your family needs you now. They need your courage to be able to go on”. I was just happy my teacher wanted to give me some personal advice. But after 15 minutes of this my uncle walked in. His eyes were red and teary. He hugged me and said “Be strong. Be strong”. He then calmly told me my father had died. I could not speak. I could not understand. I could not remember the advice my teacher had just given me. By the time I was 17 my mother could no longer work because of heart problems. She could no longer feed us. I had to quit school and I left my village to find work in Dakar. I found a job after 2 weeks of searching. I slept on the street and hid my backpack in the morning to go to work in a perfumery. Within 3 months I had put together enough money to rent an apartment and life for my family and I had improved. But though it had been much better than living on the street, my income was low and renting became unsustainable. Within 2 years I could no longer afford to pay rent and send my mother the money she needed for my sisters. I quit my home and shacked up with some mates. After 3 months of this I called my mother and told her I had heard there was work in Libya. I had decided to go there. That’s when I told her how hard it had become just to keep up. My mother told me what she had always said, “We are behind you. But remember who you left behind”. She said that because so many run away from their homes and are never heard from again by their families because they give up on sending their families money to sustain them while sustaining themselves in a foreign city or country. Some struggle because of religious or family differences. Some families are just abandoned. There are children abandoned by families who cannot feed them, sent instead to study in madrasas from which they run away. From Senegal I reached Mali where I stayed for a week. I took up work at a construction site to be able to eat and put together the money I needed to pay my ticket to Burkina Faso. When I had saved up enough I took the 2 day bus trip to Burkina. There I met Moussa. He helped me with some money to buy a ticket to Niger where I stayed for 20 days. There isn’t much work in Niger though I still did some. When I had enough money I went to the train station where young lads try to find pick-up truck drivers that could take them to Libya. Only pick-up trucks are strong enough to make it across the desert. I paid 120 sefa and was locked up in a room with mattresses on the floor where I had to wait until space was found on a pick-up truck making the journey. Waiting can take a long time and some give up and escape from the holding cell. I would find out that those who wait and are put on the pick-up truck but are then pushed out in the middle of the desert so the truck can go back and pick some more people up. We set off on the first day of Ramadan. They dropped me and 34 other people at the desert roadside somewhere in the general direction of Durku. We had been travelling for a week and had no water and no food. We had no choice but to walk towards the first hamlet we could see on the other side of the dune. There Moussa and I found a family – husband, wife and their little daughter. They let us in and we spent the entire Ramadan with them. They didn’t have much: mostly we just ate dates but they shared their dates with me. After Ramadan we set out again. At one point we managed to find some couscous, some dry tuna and powdered milk. The good thing about powdered milk is you can transport it and it doesn’t go bad. Not everyone had money and those of us who did had to fend for ourselves. I shared my bag of couscous and my bag of powdered milk with my mate Moussa and we stretched those out for as long as we could. Eventually those ran out and for a while it was just dates for us again. Then the dates were finished and dinner was down to a few drops of water. Twenty days of trudging in the desert with empty stomachs. We were exhausted. And we were lost. I was giving up. I thought I would die there on the sand and no one would ever know what my fate had been. In my delirium I reprimanded myself for not having the strength to think of my family. And still we walked though we could not march all the time. The heat between 7 in the morning and 7 in the afternoon made it impossible to walk in the sun. We walked instead at night, not resting until daybreak. We finally got to a military camp and there they pointed us towards a city. There we thought we got lucky. We spoke to an Arab man who turned out to have known the guy who took our money to drive us to Libya but pushed us out deep in the desert. He gave me his number and I called him. I think he was impressed. We were alive because of that march over the dunes. Our own trafficker knew that for sure. No other trafficker would give some other trafficker’s abandoned passengers a ride. It’s how they operate. They leave you there and it’s up to you. We paid the Arab man for some fuel and some food and he gave us a ride into Gatrun in Libya. We thought we had made it. But our driver took us straight to the police station. We were arrested there and we would soon found out that the police were organised for just this sort of situation. The officers and the mafia they worked with had bank accounts back in Senegal. They would make migrants call their parents in Senegal and have them deposit ransom money to let them out. In that lock-up they never bothered with my name. They didn’t care what I was called. For a while I was just ‘number 6’. I refused to call my mother. She would have ended up dying before me and in any case she did not have anywhere near the money I was being asked for. I refused their order to call my mother 3 times. That third time they stripped me naked and beat me with a cane. Most people called home at that point. Sometimes they would put parents on speaker phone so they could hear their son screaming with pain. Mothers of some boy in my situation did what they would never have done to scrape the money to free their sons from a Libyan police station. Or if they couldn’t do it themselves, they forced their younger girls or boys to do things they should not do to find the money they needed to let you out. On a Friday early morning I was ready. Moussa had spotted a window out of the toilet of the station. He was right. It was big enough to squeeze out. We took turns watching out for guards and at the right moment we escaped. I was out of that station minutes before it would have been my turn for another caning. We ran towards the city. Moussa and I found an elderly woman who let us in. “Come in my sons,” she said. She closed the door behind us and brought us in to meet her 3 grown sons. They all carried weapons. “You’re safe here. We will protect you”. We stayed with her for a few days and then paid her sons 250 dinars for a ride to Tripoli. We earned the money to pay her sons working for her for a month. We built a three room apartment for her while we were there. They drove us into Tripoli on a Friday. Friday is a busy day for traffic and our drivers told us the police have less time for road checks. We hid under blankets in the back of the pick-up until we were told we had arrived at our destination. When we removed the blankets we found policemen glowering down at us. We were once again in a Libyan prison. The police sold us over to mafiosi who put us to unpaid work. We were forced into slavery. They fed us bread and milk or on a good day some beans with sardines. One day two armed guards drove out five of us slaves to clean out cow barns for a farmer. I had told Moussa I had decided to take the risk and escape. “I cannot stay here anymore.” Moussa told me the guards would not mind shooting me in the back. But an opportunity did come that day. The farmer’s horse had bolted and he told us to chase it. Everyone was running behind the horse, including the guards. I ran in the opposite direction. I stole a bicycle and ran away. I got to Tagiura, a town outside Tripoli and there I met some people from Niger that rented out a room. They were not good people. They used your fear and isolation to make you do things you should not do. I worked for a while on construction sites for the people from Niger but all the time I was on the look-out for some way out of this disaster and this fear. One day they split us up in 3 groups and they took my group on a site where I saw Moussa again. Moussa told me he found someone who could help us travel out of Libya. We could not stay in Libya. All around us there were bombs and shootings in the street. Just that day I had seen a girl killed in the street. We could not stay there. “Because that’s where everybody goes,” he said. He would get us a spot on a boat out of Libya. The man told me to shut up “or I’ll punch a hole in the dinghy and put you in it”. I didn’t see us getting to any destination on that dinghy. But I did tell myself that risking death at sea is probably better than certain death in Libya, shot on the street and left to rot in the sun. After all at sea someone could sail by to save you. No one could save us from the slave masters in Libya. We were 85 passengers on one dinghy plus another 3: one to pilot the dinghy, one to read the GPS and one with a phone. They had wooden planks across the dinghy for us to sit on and the rest sat on the edge of the dinghy all the way around. Moussa was on another dinghy. That was the last time I saw him. We were ready to leave by 5 am. We were almost 200 people leaving that shore. At one point the screaming became even more frantic. Someone spotted four sharks swimming around the boat, their fins out of the water. I had only ever seen that in movies. The dinghy’s pilot shouted over everyone’s wails, telling us to stay calm. He told us sharks are attracted by the noise and would try to puncture the dinghy. To scare them away the pilot poured out some diesel and set it alight. That scared the sharks away. But the dinghy had not moved and it was clearly deflating slowly. At one point a boat came by. When they got close we realised it was the Tunisian navy. We asked to be dragged back to where we had started, or perhaps taken to Tunisia but those on board told us they could do nothing for us. They turned about and left us to the waves. We waited some more. At 2 o’clock in the afternoon the guy with the phone called for help. They told us to hold tight as a boat would come to save us. A Japanese gas tanker came by and threw 3 ropes at us to tie us alongside. Everyone was so afraid. If people rushed to one side of the dinghy, we would all end up in the water. That’s when the pilot decided to cut off the ropes. The Japanese ship was not to be our saviour. But we did not have to wait much longer. Half an hour later a helicopter flew over and half an hour after that, a Red Cross boat came to pick us up. We spent a day on the ship and we were taken to Sicily. That was the 13th of April, 2015. They made us stay in line to provide our details. We stayed in Sicily just for one night and on the 14th a coach came round that drove us to Livorno. On my first day in Livorno I was taken with another 20 people to Via Piave. That was after a visit to the town hall to register as a resident. After the town hall we were taken to the police for our finger prints to be taken. At Via Piave they told us we’d have to go to school to be integrated. At school I met some people that were on the boat with me out of Libya. Later I would hear that Moussa made it as well. He was living in Milan and I managed to get his number and keep in touch. Integration is a two-way street. The people of the city were open and welcoming. But we, as new arrivals, had to make the effort as well. We had to accept there will be situations when we don’t get an answer when we ask for directions to someone in the street. I’m here now. I’m in Livorno that I love so well. I feel I am a citizen here. I have a job. When I’m not at work, I go along with some friends of mine from integration school and with some of our Italian language teachers to visit old people at the day centre. This makes me very happy even though seeing old people without their families makes me very sad. This does not happen in Africa. Old people are never left alone. I feel useful visiting them. I feel part of this city. I feel I too can do something to make people of this city feel better. I can bring to this city my ability to make others feel better. I can console people with my experience: the road I walked before I got to Italy. And I also believe that perhaps my life has been saved so that I could get here to be able to help build a more human country, a better city. Court to hear request to stop judicial appointments on Monday. Will President swear in new judges this afternoon anyway?